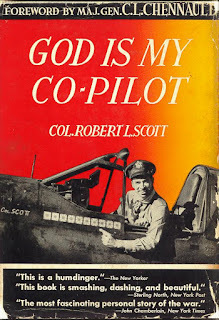 In 1943 Brigadier General Robert Lee Scott Jr. published his autobiography God is My Co-pilot about his adventures in World War II with the Flying Tigers and then the Army Air Corps over China and Burma. 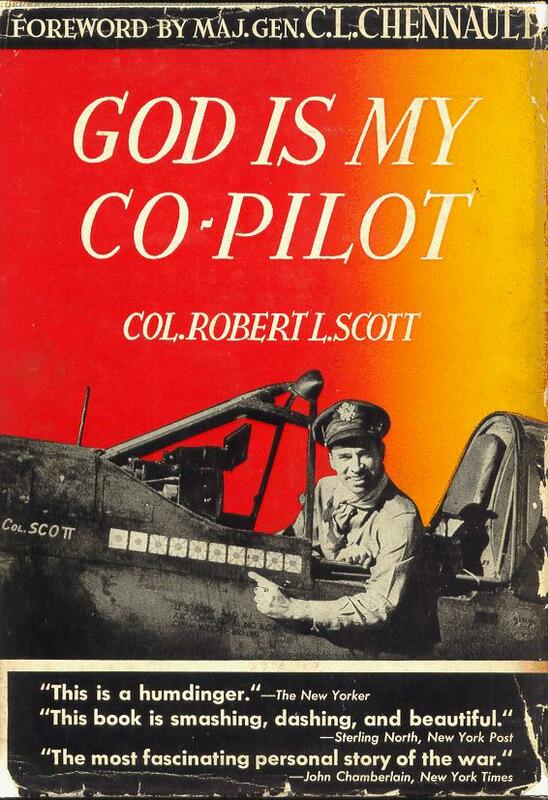 General Scott was one of the first aces in WWII and was one of the Army Air Corps finest. The title of his book resonated within Christian circles. Who wouldn’t want God sitting beside them through all of life’s adventures? Well, God for one. God doesn’t want to be in the right hand seat. He doesn’t want to be the co-pilot. A pilot is the one who controls the plane. A co-pilot assists. He flies the plane only when the pilot wants a break. My wife is scared to death to fly. He fear stems mainly from the fact that she has no control over what the plane does. Her life is in the hands of someone else. She’d rather drive everywhere where she had the illusion of control. This is how many Christians approach life. They want the illusion of control and they want God to be nothing more than a copilot. God has called me to serve him in a greater capacity most of my life. And for the majority of that time I have said no to God. That’s nice Lord, but I am in control here and that’s not what I want to do with my life. With every no came increased difficulty in life - strained relationships, financial difficulty, failing health. Every aspect of my life continued to worsen the longer I resisted my call. It took being put on death’s doorstep before I finally relented and said yes to God. The moment I agreed to follow the path God had laid out for me was the moment life started to change. Although I didn’t come into riches money wasn’t so tight. A quintuple bypass gave me a new lease on life. I am surrounded by people who are true blessings to me, my wife and my children, my mentors, my brothers in diaconate formation. All challenge me to be a better man, to be the man God has called me to be. I have found a great sense of peace and happiness when I let go of the stick and let God fly the plane. Working in the church, ministering to people, and learning with my brothers makes me happy and gives me peace, a peace that has eluded me most of my life. Yet I struggle in my home life. I always seem to be angry, frustrated, or depressed. 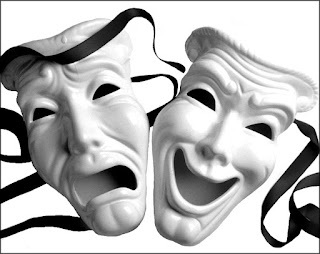 It is like I am two different people, happy away, sad at home. My work has been putting a great deal of stress on my lately but that isn’t the sole cause of the grief. I have an idea in my mind of what the perfect family looks like. I have values and lessons and memories I want to pass on to my children. I want to be the dominant influence in their lives and not the society or the culture. Life moves fast and I only get a limited amount of time to make a difference in the people they will become. I want to be in control. I ask God daily to grant me the grace of patience with my family. I ask him to fill me with peace and to guide me in being the husband and father my family deserve and not the one they get stuck with. Usually he just provides ample opportunity to be patient and loving and I always seem to fail. On occasion he will speak loud enough that I can hear him over the ramblings of my mind. Today was one of those days. God told me that I only had the illusion of control. He invited me to let go and let him fly the plane. Trust him to guide my children as he has guided me. My family may not be perfect in my eyes but it is perfect in his. He invited me to close my eyes and see them as he does. If I have learned anything in the past three years I have learned not to argue when God asks something of me. Lord Jesus I trust in you. The left hand seat is yours. All too often I pray God let me awake in the morning the man they need because I am not him. My wife reminded me once that I may not be the man I think they need, but I am thr man she chose. Jesus meets us where we are in life but he doesn't want to leave us there. Our wives chose us for who we were when they met us but that doesn't mean we get to stay that guy. We need to become the men they need without losing the men they fell in love with in the process.